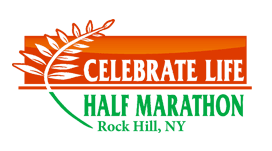 will offer Celebrate Life Half Marathon participants a reduced rate of $119 for Saturday and $99 for Sunday! Please mention CLHM when you register and inquire on late checkout. Call them at 845-796-3100. Finish Line, registration, pre & post race festivities are held at The Sullivan. It’s 8 miles and 11 minutes away. Across from the Monticello Casino and Raceway. Discount to CLHM $116 a night. Mention CLHM for a discount. New and convenient. 30 minutes from start of race. 3491 Route 6, Middletown.877-424-6423. Beautiful resort offers you a weekend in the Catskills away from the craze of the City. Enter promo code LIFE for discount: $110 Saturday stay and $99 for Sunday stay.